What Are the Best Recording Headphones? It is not necessary to be an expert musician to understand the importance of a pair of good and quality headphones. Music lovers will always prefer to have a pair of headphones which will give them the ultimate satisfaction of listening to music. The importance of high-quality headphones increases further if you are a professional audio enthusiast. Feel free to speak to any professional musicians, and they will explain you the benefits of having a pair of excellent quality headphones. People always tend to have the “best” out of everything for their perusal. However, what defines the “best” varies from individual to individual. The selection of headphones will be different in the case of a music lover and a professional musician. Here, you will get the chance to select from various brands that manufacture high-quality headphones. This article presents some of the top-quality studio headphones reviews that will help you set up your mind before you decide to buy your own studio headphones. + TYPE OF EAR-CUPS: The design of the ear-cup is a crucial factor before choosing to buy the best studio headphones. Ear-cups provide effective sound isolation. Therefore, they are considered to be the one of the most important parameters. + THE RESPONSE OF FREQUENCY: The ability of the headphones to produce clear sound depends on the range of the operating frequency. + OTHER FACTORS: Some of the other factors to be considered are the headphone sensitivity, overall comfort, price, etc. The table below has highlighted the pros and cons of the top headphone reviews defined above. This tip is designed to help you find easily the best headphone you have been looking for and see their own distinctions. We all wanted the best products as possible as we can. This is because all of us do care about the money we invest. To help you find classy, top-rated products that would surely give your time and money a worth please consider the guide below. 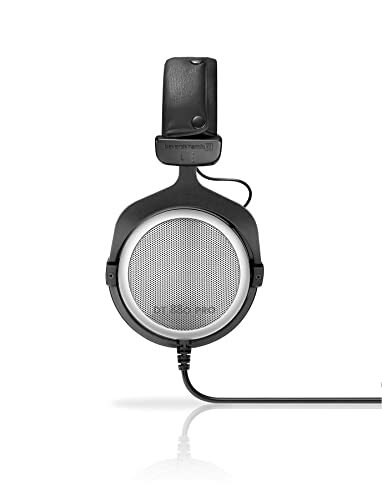 The Beyerdynamic DT880 Pro headphone is a semi-open reference headphone for monitoring applications. You can rely on its superior sound and build quality. Every part of this gear is replaceable so you do not have to worry about buying a new one entirely. The DT880 Pro headphone is a reference-class which joins together all the strengths of open and transparent headphones with those more powerful and closed kinds. DT880 Pro headphones are created with especially designed housings and an improved system equalization making it an ideal tool for studio monitoring. It has an analytical sound with comfortable fit due to rugged, adjustable and soft padded construction of the headband. This headphone is a robust kind and all parts of it are replaceable. DT880 Pro headphone covers 250 ohms and the construction is easy serviceable. Millions of audio professionals from all parts of the world trust Beyerdynamic products most especially the DT880 Pro headphones for they have been designed to cater listening in a wide variety of environments. 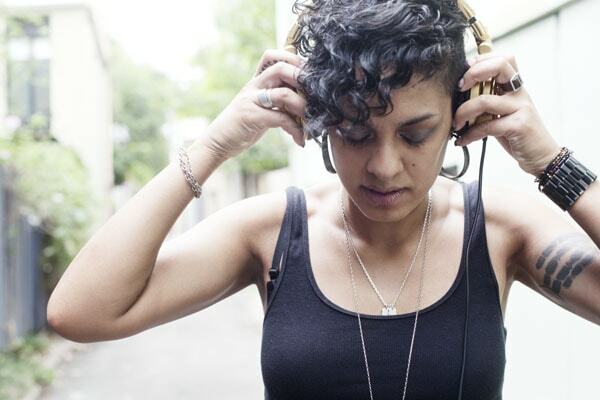 Whether it is used for mixing, monitoring or simply listening, this headphone is great. With the Sennheiser HD650 headphones, you can experience a truly unique and natural sound. Good sound and exceptional comfort is essential even for long hours of use. If you consider buying a good set of Sennheiser HD650 headphone, you will also get a set of standard in comfort and convenience. This headphone is a genuine masterpiece. This was design to satisfy even the most demanding needs of a listener. 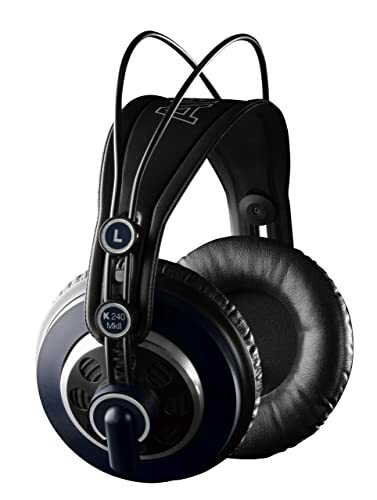 The Sennheiser HD650 headphone has especially designed acoustic silk that ensures precision damping over the entire frequency range and helps reduce THD as well. With extended frequency response and hand-selected matched driver elements, this headphone is an amazing pair. It uses high power neodymium magnets for maximum efficiency and lightweight aluminum voice coils for a very fast transient response. No any highly negative customer reviews found in the Sennheiser HD650 headphone category. All of them seem to get satisfied results while using the gear. You can expect more from the price. From the features, design and usefulness this headphone works best making this to receive a flooding 5-star ratings online. HM5 studio monitor headphone is one of the best products of Brainwavz that creates an amazing impact in monitoring. It is designed to deliver precise and accurate sound production as it was intended to provide a neutral sound signature. Presenting an over-ear design, the Brainwavz HM5 sits comfortably on the ear. If you are looking for a perfect pair of headphone that is excellent to be used daily, this one is great. Brainwavz HM5 Studio Monitor Headphones are designed to give neutral sound signature, a sound that is real just like how it should. Included in the package are the detachable cables to be used with your portable or home rig. This headphone is large with comfortable over the ear cups. It has been made with durable and long lasting ergonomics with detachable cables as well for outdoor and indoor use. One common results of using Brainwavz HM5 studio monitor headphones is its being neutral and it is not a bad thing. The design, sound and build quality are exceptional. It has the best mid range in its class with gorgeously detailed sound. If you are looking for highly affordable yet comfortable gear, this one can be perfect. The AKG K 240 MKII headphone is a professional semi-open, over-ear headphone which is great for precision mastering, mixing and listening. It is has been used since before in studios, music room and even in stages around the world. The advanced Varimotion transducers deliver a solid low-end and highs that are truly crystal-clear. With this, you can have accurate mids with powerful bass response. 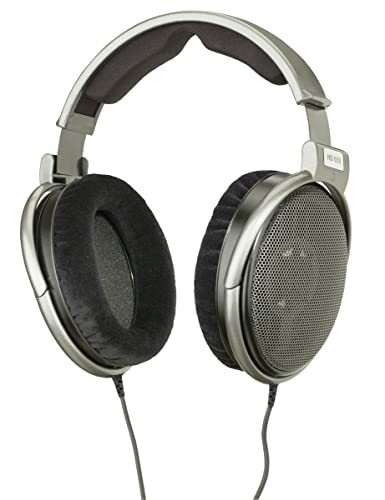 AKG K240 MKII stereo studio headphones are over-ear design which is great for long hours of work session. They use semi-open technology for solid bass and airy highs. With patented Varimotion XXL transducer, you can expect to have an accurate signal transfer and great dynamic range. The headband of this headphone can be self adjusted for optimum fit. Since it is not a wireless headphone, no batteries required anymore. This headphone has been the choice of most audio professionals around the world for it has many amazing features. Professional engineers and musicians have made AKG K240 MKII stereo studio headphones in demand and widely use gear in studios and live consoles for more than three decades. This is a great headphone for everyone whatever the purpose of use it may be. Another great studio headphone made by Koss is the Pro4S. The Koss Pro4S is especially crafted for professionals who need the assistance of headphones every day to make amazingly great music. 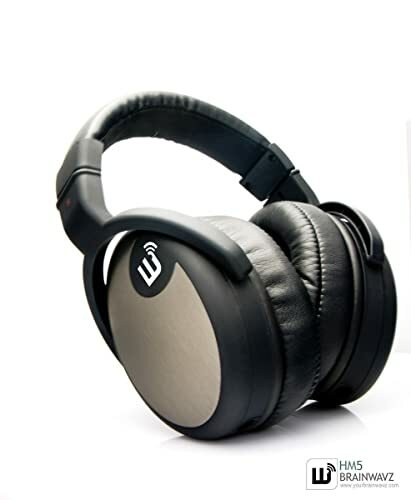 This headphone delivers an incredibly amazing and unbiased sound making it perfect for any creative studio or home use. The Koss Pro4S is a no-frills, affordable over-ear headphone for studio purposes. 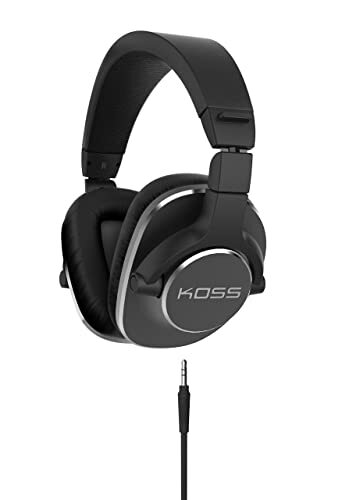 Koss Pro4S is a full size studio headphone born to design your music fairly. It has aluminum construction for comfort and durability that meets basic customer standardization. It is a lightweight type with dual choice entry for you to have left or right listening choices. Koss Pro4S also has contour sealing cushion that closes gaps around the ear for better sound isolation, improved comfort and perfect ear fit. The dynamic element of Koss Pro4S is precisely tuned to accurately convey the sound produced in the studio. Even you are going to make a comprehensive test, with Koss Pro4S; you can get what you want in a headphone. This is why most users used this headphone for recording. The detail and transparency is quiet good and the mid range is surprisingly not lucking. This product has great sound and well-made. If you want to record, mix, monitor and enjoy what you are doing hassle-free, KRK headphones are designed to give these to you. The KRK KNS 8400 provide a precise listening experience that would take you from personal studio to commercial studio. These headphones allow you as well to accurately enjoy music with the reliable voicing philosophy and honest reproduction. The KRK KNS 8400 headphones are created with detachable in-line volume control with newly developed headphone acoustical system to bring a new level of headphone performance. It is the latest reference quality frequency response for closed-back. The voice heard remain true to the character of class leading studio monitors with many years of experience in studio sound. The used of the latest acoustic memory foam technology make sure that all users can achieve a class leading performance in both sound isolation and reproduction. 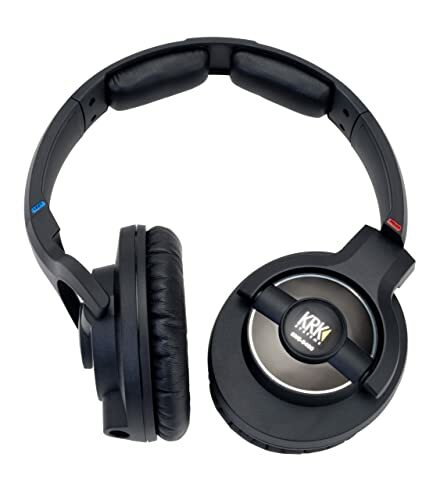 From the performance, utility and comfort the KRK KNS 8400 headphones are better. When it comes to listening, all that you can do is to listen up and you can hear how your music is supposed to sound. This is not a normal headphone for normal consumers. This is a professional one for most buyers are audio professionals and they love using this in professional mixing, mastering and monitoring. The reviews of high-quality headphones above have been presented together with the technical details and features. It is worth believing to try to buy one of these headphones to get the desired results and see it for yourself.